RMA is proud to announce that their proposed plan for the Pompano Beach Downtown Innovation District won the 2018 Promotion Award at the annual Florida Redevelopment Association (FRA) Awards. RMA managed the city's redevelopment agency for almost a decade and authored this award-winning plan for the creation of the city's downtown. 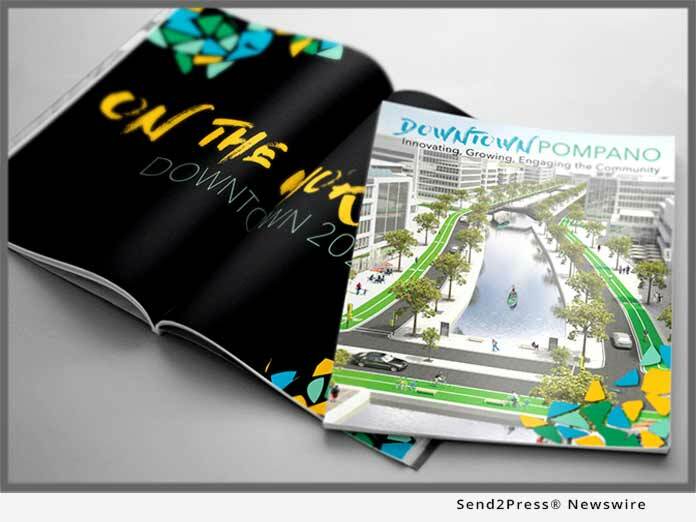 POMPANO BEACH, Fla., Oct 29, 2018 (SEND2PRESS NEWSWIRE) -- RMA (www.rma.us.com) is proud to announce that their proposed plan for the Pompano Beach Downtown Innovation District won the 2018 Promotion Award at the annual Florida Redevelopment Association (FRA) Awards. RMA managed the city's redevelopment agency for almost a decade and authored this award-winning plan for the creation of the city's downtown. The plan will transform undeveloped land into a vibrant urban area (downtown), becoming a revitalization role model for cities nationwide. "We are tremendously proud of the work RMA team members did on behalf of this project for the Pompano Beach CRA," said Chris Brown, RMA Co-Founder. "The CRA benefitted from the talents of the entire RMA team for the creation of this ambitious program. We are especially grateful to Keila Rodriguez and Jessica Mulder who transformed this concept into a stunning presentation that has ignited tremendous interest in the Innovation District. Pompano Beach epitomizes the forward-thinking concept of building for 'how we will live in the future,' and this plan exemplifies that." The Pompano Beach CRA knew it needed to devise an engaging and impactful way to communicate the great opportunities in the Innovation District. RMA's Rodriguez and Mulder created a comprehensive booklet and dynamic video to promote the Innovation District and tell the story of the steps the City and CRA have taken to bring prosperity to the community. These marketing tools are now being used by the City, CRA, and by the Chamber of Commerce to attract new commercial businesses and developers, retain the existing industrial base, and continue to improve the neighborhood and quality of life of the residents, making the City, and in particular the Downtown, a more attractive place to live, work, invest and visit. Future development in the Innovation District could include 750,000 square feet of office space, 166,000 square feet of retail space, 35,000 square feet of restaurant space, 1,500 residential units and two hotels. Job creation and other benefits will spill into the surrounding neighborhood and throughout the city. Central to the success of the Innovation District is its unique approach to a new system of self-contained, linear waterways, which will create a scenic setting for outdoor restaurants, offices, shops and mixed-use buildings. Inspired by the waterway systems in Amsterdam, Netherlands and San Antonio, Texas, these waterways eliminate the need for dry retention ponds, allowing developers to maximize buildout across the parcels while creating an inviting and activated urban area that benefits the entire city. FRA is a not-for-profit organization dedicated to assisting Florida professionals and volunteers in community revitalization efforts. With its mission of "transforming spaces, revitalizing places," FRA is committed to providing a forum for its more than 300 members to share knowledge and common experiences regarding revitalization opportunities and issues throughout Florida. Founded in 2009 by Kim Briesemeister and Chris Brown, RMA is comprised of a phenomenal team of redevelopment experts passionate about building better communities. RMA is the most experienced full-service economic redevelopment consulting and management firm, headquartered in the state of Florida, specializing in revitalizing core areas and corridors for cities, counties and special districts nationwide. The co-founders are also the authors of one of the definitive books about city redevelopment, "Reinventing Your City: 8 Steps to Turn Your City Around." Learn more at: http://www.rma.us.com/.